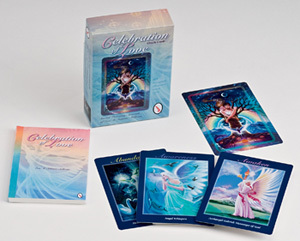 Based on the law of attraction, you will choose the cards that are in vibrational harmony with the answers you seek or what you most need to know. Working with these cards on a daily basis will have a positive impact on your life and the people around you. What do you need to know about love? Spark your intuition and connection with Divine guidance and celebrate love through purity and the magnificnece of self! 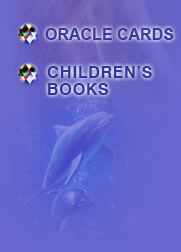 Eva's mission is for her artwork to serve as inspirstion for personal and planetary healing, transformation and love. She is a visionary painter and environmentalist with a special love for dolphins and creatures of the sea. 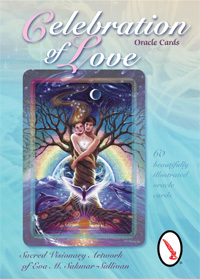 The Celebration of Love cards are built on celebrating everything in our lives and world through the purity of Love. A constant theme is living each moment with appreciation and gratitude for all the Creator has given us and that includes the magnificence of ourselves. Include the name the deck will be autographed to and contact Eva to pay with PayPal.